MTS India, the youngest CDMA mobile service operator today announced the launch of lowest Local and STD tariff for its prospective mobile service subscribers in Andhra Pradesh telecom circle. The operator offers all Local calls with in MTS network 1paisa/4 seconds and all other network local call at One Paisa/2 seconds, while STD calls at just 1 paisa per seconds, on any mobile or land line network in India. 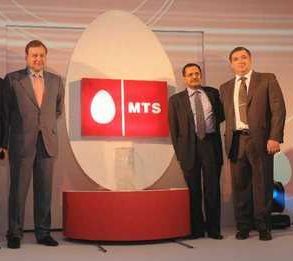 MTS announced total 5 Promotional Plans for its subscriber in Andhra Pradesh wherein they can enjoy the lowest tariff and Free SMS too.To avail the new tariff plans, MTS India’s prepaid subscribers can recharge with the First Recharge Coupons (FRC) priced at Rs.46, Rs.59, Rs.99 and Rs.159, which comes with the validity of 60, 90, 180 and 365 Days respectively.While one another FRC of Rs.98 MTS offers Unlimited Free Calls to own-Network for 30 Days. The Operator also launches MSaver 499, wherein MTS customer can enjoy Free Own Net callings for Life time.The Daily Rental of Rs.1 will be applicable.The other network Local call & SMS charges will be same as customers main plan and per day 150 Local Free Minutes (MTS to MTS) will be credited in subscriber prepaid account for lifetime. MTS India’s Prepaid connection comes at Rs.49 with Life Time Validity.The base plan offers 1p/2Sec for Own Net Local Calls and 1p/1Sec for other network while all STD Calls will be charged at Rs.1p/Sec. The all above vouchers will be available at all retail outlets and MTS Outlets in Andhra Pradesh circle. For more details call MTS Customer Care on 155 (Toll Free) from MTS mobile phone Or dial 9133-155-155.